The Bitterroot River is another one of our smaller rivers, but a very nice size for flyfishing. 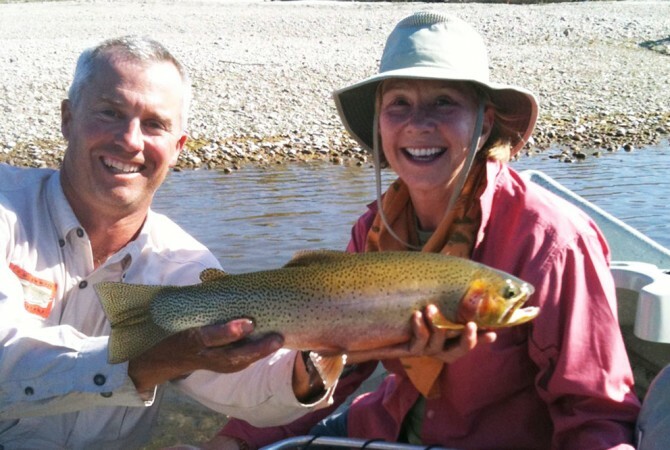 A typical float trip will include plenty of opportunity to get out of the boat and work some runs and side-channels. Nestled in western Montana’s gorgeous Bitterroot Valley, the river has a very different character than its neighbors in the Missoula valley, the much larger Clark Fork and the rougher Blackfoot. The “Root” is a riffle-pool river winding through cottonwood flats and gentle drops, over mostly gravelly bottoms, past lots of fishy-looking deadfall. 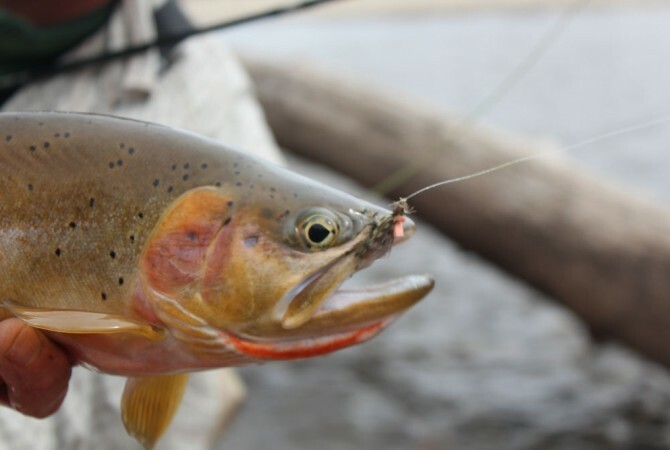 The Bitterroot offers some unbelievable early season dry fly action in March and April as big trout rise to the large and apparently very tasty skwala stonefly. Fifteen years ago this was a virtually undiscovered fishing opportunity which has now received some national attention and a corresponding increase in fishing pressure. 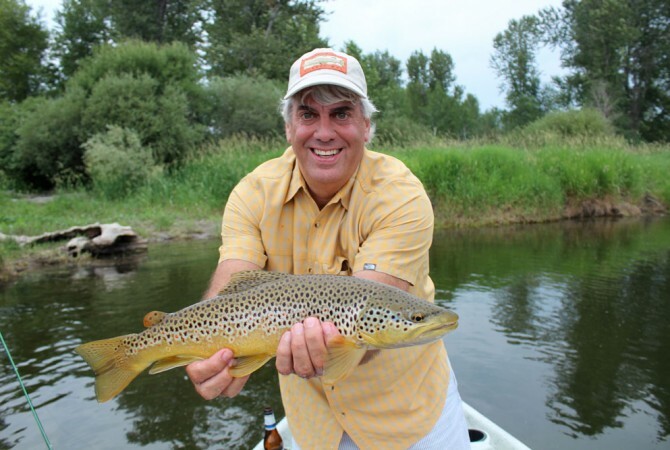 But if you have the early season fishing bug here is a chance to see some big trout come up and eat in a slow but confident manner. 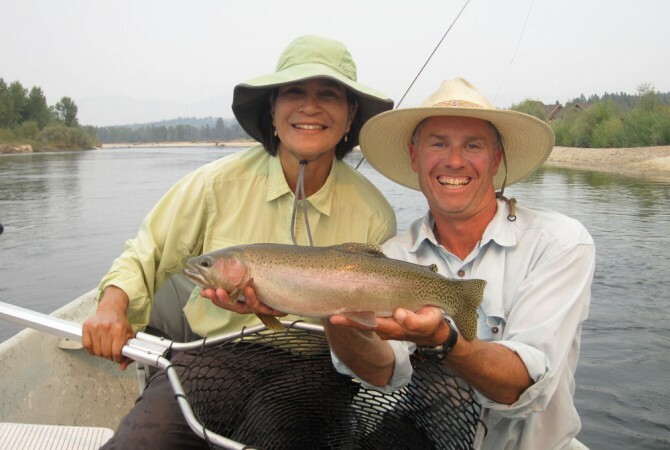 I offer overnight floats on the Bitterroot from late August through early October focusing on the late summer mayfly hatches and hopper fishing and progressing on to the baetis and mahoganies of the fall. 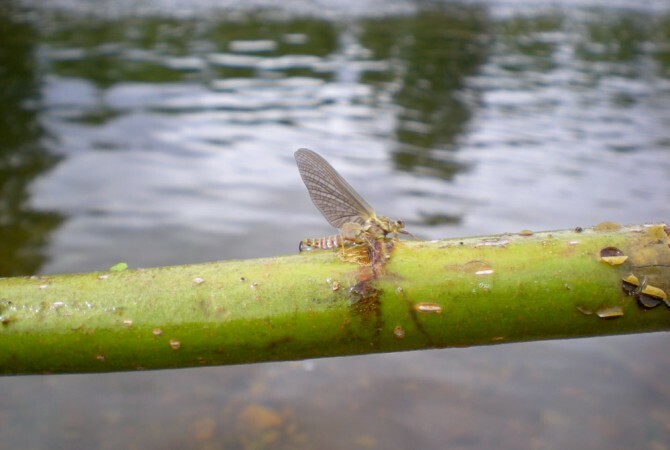 The upper river gets great stonefly hatches early in the summer but much of the fishing on the Bitterroot is quite technical….if you love to be challenged by mayfly-sipping trout, this river is for you.